Gorgeous 10 acre property in a Prime Location! Rolling hills, Pond, Large Barn, 2-room Shed, Fences for horses, and room to roam. 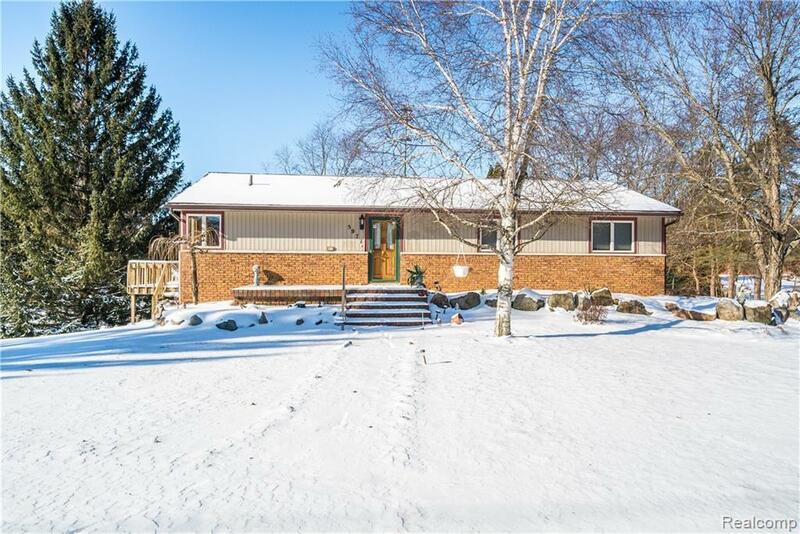 3 bedroom, 2 bath home features a wrap around deck, patio, finished walk-out basement with huge rec room & 3rd bedroom, hardwood floors, jacuzzi tub & stand alone shower in main bath along with a sitting area, master bedroom features walk-in closet & bath, and circular drive. Huge kitchen with granite counters, ceramic, large island w/ range top, built in stove, custom cabinets w/ extra shelves & storage, and spacious 14X12 eating area with a beautiful view of this majestic property. Newer roof, A.O. Smith hot water tank, and Comfortmaker furnace. Copper plumbing, updated circuit panel, AC, and more. This property is a must see.